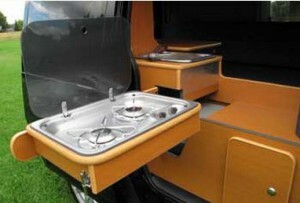 This page is your index to a selection of small van camper conversions. This includes vans like the Ford Transit Connect, VW, ProMaster City, and others. These conversions offer excellent fuel economy, lower initial cost, more maneuverability and easy parking. Very earth friendly. The emphasis is on conversion stories that have a lot of design and construction detail. If you’ve done or know of a good conversion, please let me know so we can include material on it or provide a link to it. If you are doing a conversion and are looking for a place to tell the story, this may be the place — drop me an email — Contact Gary. Very nice conversion of a ProMaster City Van to a camper. Lots of good ideas and good detail. This is from the ProMaster Forum, which covers both the large ProMaster van and the smaller ProMaster City van. The conversion has sleeping for two, a full galley, and solar powered electrical system. Lots of nice details. His is reporting 30+ mpg! 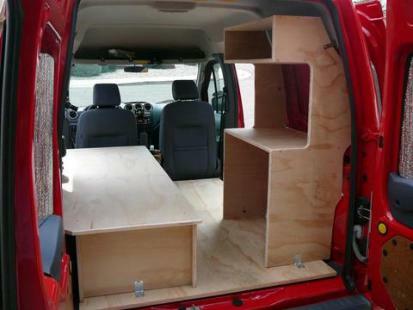 This is a nice simple DIY conversion of a Ford Transit Connect van done mostly from Home Depot supplies and straight forward carpentry. 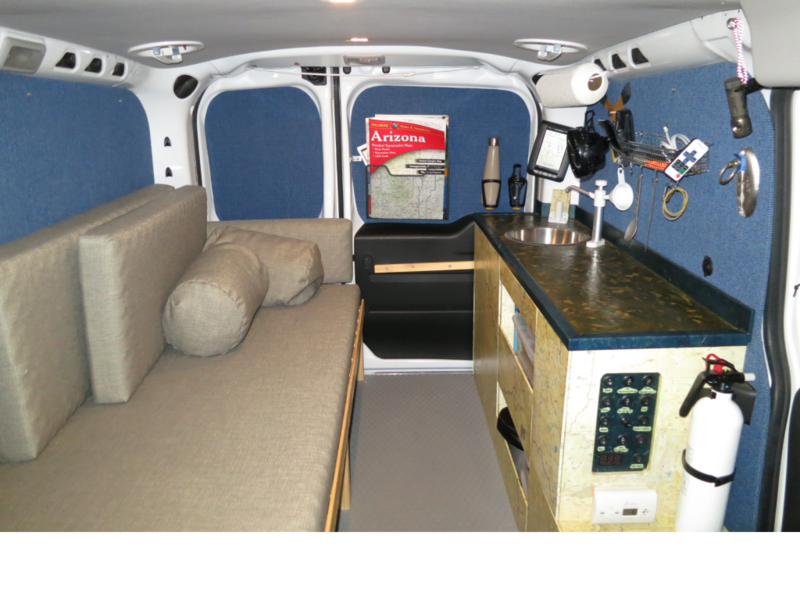 The Transit Connect (now available in the US) gives you an about 5 ft wide by 6ft long area to work with behind the seats, so some careful planning is in order, but it can be a good camper van for one or two with good planning. Pop-tops are available for full standing height. Fuel economy on the road up toward 29 mpg! A Ford Transit Connect conversion. 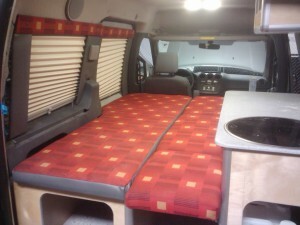 Robert Morehead does custom camper van conversions as well as kits to do your own van conversions. He has a reputation for practical conversions that do what YOU want them to do. A number of interesting and creative conversions for the popular vans and even one to do a Honda Element camper. 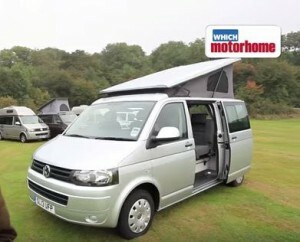 A good video review from Which Motorhome Magazine of ten small camper vans, all based on the VW T5 van. All with pop-tops. Only about 16 ft long and with the pop-tops would fit in a lot of garages. The video shows lots of different approaches and good ideas for interior arrangements. A really simple conversion of a Prius for a 6 month trip through the National Parks. Great mpg, low emissions, comfy bend, and no mods to the vehicle. Obviously the same sort of approach could be taken using a number of cars or small vans for the base vehicle. 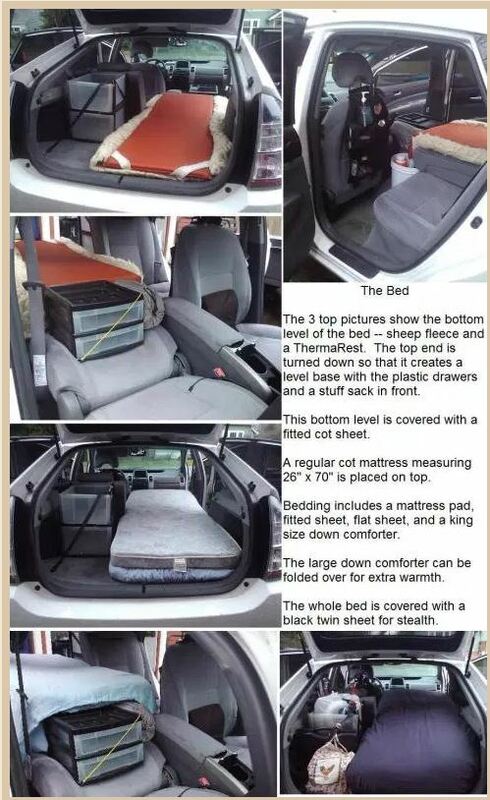 From Cheap RV Living — lots of interesting material here. Nice detailed construction article on converting a small Chevy van into a dorm room (but would also make a good camper/travel van). I came across this website while researching van conversions. What state are you located in. Are the new VW vans available in the US. 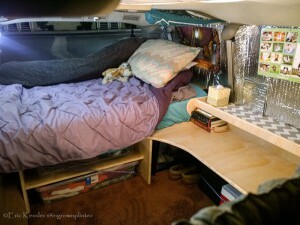 I’m in Montana, but I don’t do any van conversions — the site is to help people who want to do DIY conversions. 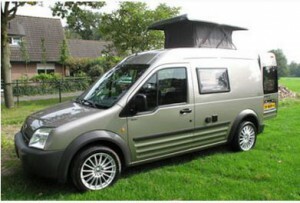 As near as I can tell, the VW campervan is not sold in the US – don’t know why, seems like it would be a good seller. Yes, it is still for sale. You can reach us at 276-238-5522 for more information. Could talk to me about your ford transit ? Don’t know how to contact you. We have a 2012 Ford Transit Connect with rear A/C for sale. It only has 19kmiles on, so it is like brand new. 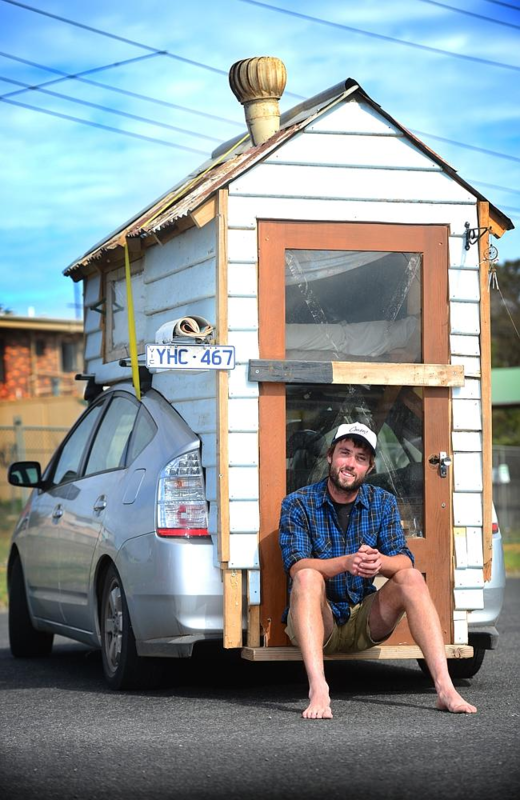 We were going to convert it to a camper van, but our plans have changed. Would you be interested in it? We are asking $15,900 obo.